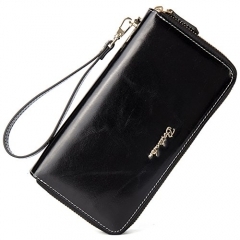 MATERIAL: Luxurious cow leather, durable fabric lining with custom light gold hardware, heavy-duty zipper and clear fashion texture. 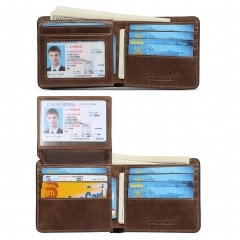 WALLET SIZE: 8.2"(L)*1.7"(W)*4.4"(H), The weight is 0.53 pounds. 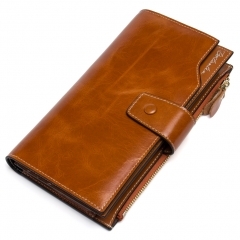 WALLET STRUCTURE: 1 zipper main pocket (including 2 large money bits + 2 bill bits) +1 zipper main bag (including 1 photo bit +12 card bit +4 bill bit). 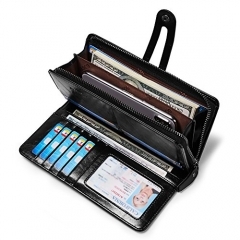 It can hold your money, card, note, coin and receipt etc. 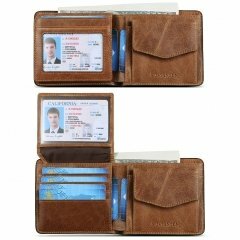 Flexible disign to give you a flexible used. 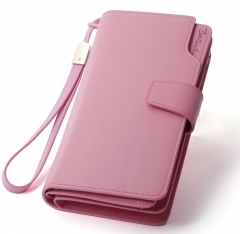 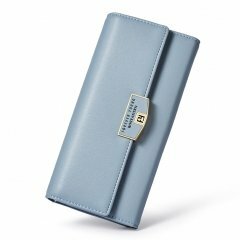 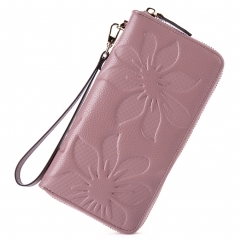 SUITABLE: High quality leather, clear fashion texture, with simple styling, no matter for girls, ladies or womens, the wallet is a good choice.